Whether it’s your 1st golf outing or your 101st annual event, we want to work closely with you to ensure that this year’s event is a successful one! Please remember that our staff is available every step of the way to assist in your planning. We have a variety of packages for you to choose from, we can customize any of the packages to meet your specific needs. Thank you for your interest in SkyView Golf Club and we look forward to the opportunity of hosting your next event! Ready for Us to Host Your Next Event? 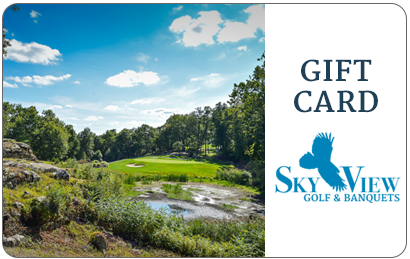 Fill out the form and we’ll get in touch with you as soon as possible about hosting your next great golf outing at Skyview. Get Skyview Value Added Specials Delivered to Your Inbox! We take great pride in making your special day - special. Our staff is dedicated to making sure that you have everything you need to celebrate with friends and family.